Ernst Toller, (born Dec. 1, 1893, Samotschin, Ger.—died May 22, 1939, New York, N.Y., U.S.), dramatist, poet, and political activist, who was a prominent exponent of Marxism and pacifism in Germany in the 1920s. His Expressionist plays embodied his spirit of social protest. Toller studied at Grenoble University in France but went back to Germany in 1914 to join the army. 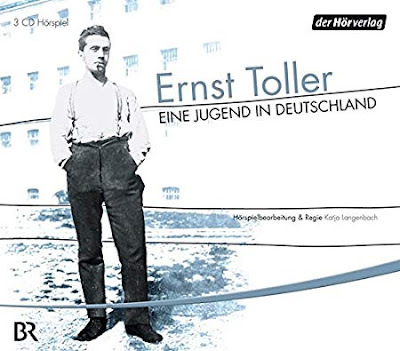 Invalided after 13 months at the front during World War I, Toller launched a peace movement in Heidelberg. To avoid arrest he fled to Munich, where he helped lead a strike of munition workers and was finally arrested. In 1919 Toller, an Independent Socialist, was elected president of the Central Committee of the revolutionary Bavarian Soviet Republic. After its suppression he was sentenced to imprisonment for five years. A scheme to get him shot in the prison yard was frustrated by a kindly old guard, who routed him away from the gunmen. In confinement Toller wrote Masse-Mensch (1920; Man and the Masses, 1923), a play that brought him widespread fame. Books of lyrics added to his reputation. In 1933, immediately before the accession of Hitler, he emigrated to the United States. Also in that year he brought out his vivid autobiography, Eine Jugend in Deutschland (I Was a German, 1934). In Hollywood Toller had a brief, unhappy stint as a scriptwriter. Impoverished, convinced that his plays were passé, and separated from his young wife, he committed suicide in his Manhattan hotel. 'Eine Jugend in Deutschland', (1933, translated into English 'I was a German') is his biography, detailing the turbulent years of the Weimar Republic, Hitler's rise to power and his experiences. I would recommend 'Eine Jugend in Deutschland' to anybody interested in German history of that era. Thank you again for this great post! Can you re-upload Ernst Busch's "Der Heilige Krieg" again? Thank you. Yes, i will do the reup in the next hours. Best wishes!